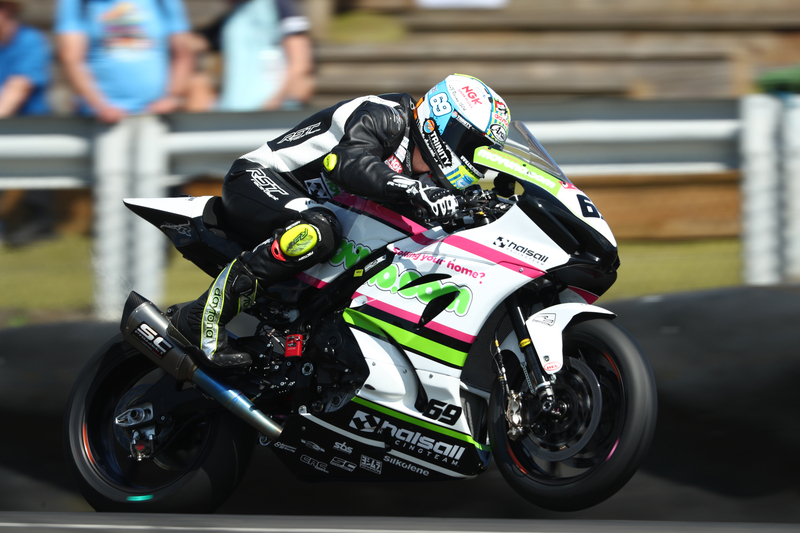 Riders Chrissy Rouse and Tom Ward are both fired up and ready to go in the Superbike and Superstock classes respectively, as the team returns to the Kent track for the second time this season. This time, the championships will utilise the iconic GP circuit, a track where both riders have enjoyed strong results in the past. For Rouse it will be just his second outing on a Superbike after he joined the team earlier this month, and after a solid debut at Knockhill a fortnight ago, the Geordie is eyeing further improvement this weekend. “I can’t wait to get back out on the Superbike, I’ve been pretty much counting the days since the last round because I loved it so much,” he said. “At Knockhill there was so much to learn and I know I’ve still got a fair way to go, but I’m very excited. Team manager Colin Wright is keen to get the weekend underway. “Knockhill was my first round and it was also Chrissy’s so now we have all got to know each other a lot better, we can head to Brands Hatch hopefully in a much stronger position. The sixth round of the Bennetts British Superbike Championship gets underway on Friday, July 20 with free practice. Superbike qualifying and the Superstock double-header will be held on Saturday, ahead of two Superbike races and a further Superstock battle on Sunday.